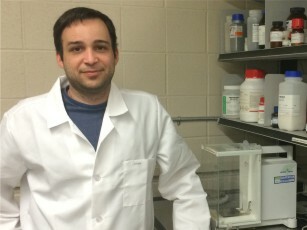 Jonathan Lovell is an Associate Professor in the Biomedical Engineering Department at UB. 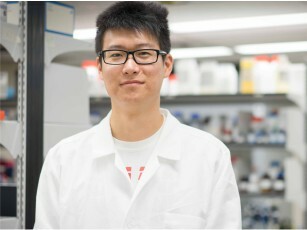 He received his PhD from the Institute for Biomaterials and Biomedical Engineering at University of Toronto in 2012 in the lab of Gang Zheng. 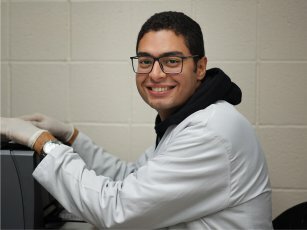 Previously, he completed his MSc in Biochemistry at McMaster University in Hamilton, Ontario and his undergraduate degree at the University of Waterloo in Systems Design Engineering. 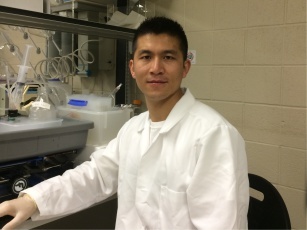 Boyang is a first year PhD student in our group. Boyang previously obtained his MS in Chemical Engineering with Dr. Chong Cheng at UB. Prior to that, he graduated from Henan Agricultural University with a BS in Pharmaceutical Engineering. 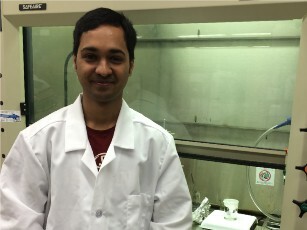 His current research project involves developing new drug formuluations. Kevin is completed his undergraduate degree in the Chemical and Biological Engineering Department and is now a graduate student in the lab. 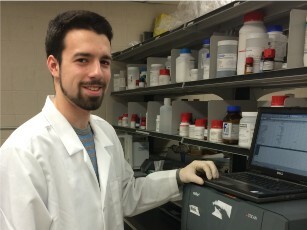 Kevin is studying light-triggered permeabilization of porphyrin-phospholipid liposomes. 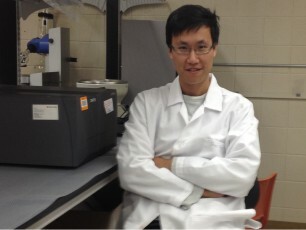 Wei-Chiao is a MSc candidate in the Biomedical Engineering Department. 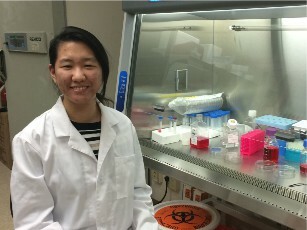 She is from Taiwan and previously obtained a MS from Tsing Hua University and has experience in the field of liposome research. 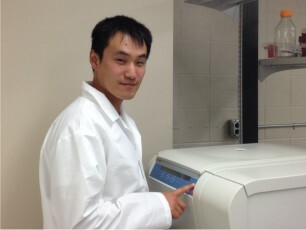 Xuedan is a first year PhD candidate in our group. She received a MS degree in Nanochemistry from University of Madiera, Portugal. Before that she received a BS in Applied Chemistry from Donghua University in Shanghai. 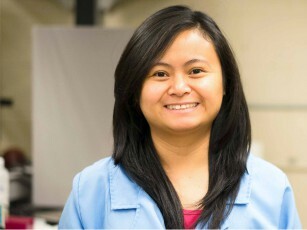 Jasmin is a PhD candidate in the Chemistry department doing research in our group. She previously completed an MS degree there. 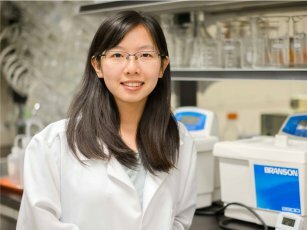 Her research involves protein biochemistry. 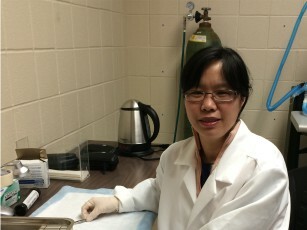 She regularly helps run the chemistry NMR facility. 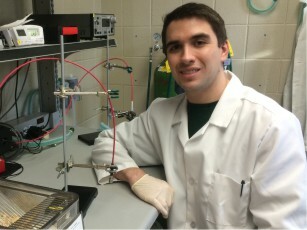 Zack graduated from University of Rochester with an undergraduate degree in Biomedical Engineering. 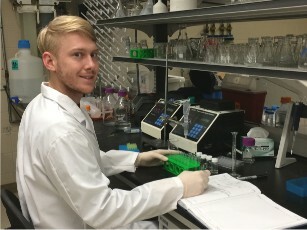 Zack is pursuing his Phd in development of vaccine adjuvants for infectious diseases. Moustafa joins us as a Fulbright Foreign Student Scholar, after completing his undergraduate and master degree from Alexandria University. 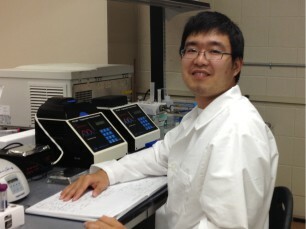 He is working on new drug formulation approaches. 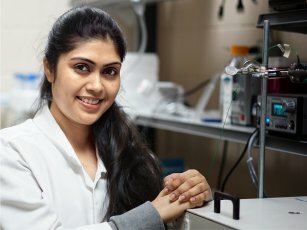 Sunanda is a MS student working on stable cell labeling methodologies. 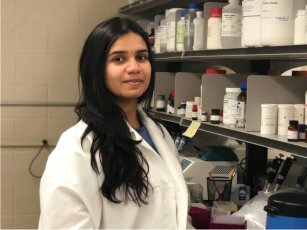 Sanjana completed her MS degree in the lab working on a light-triggered ciprofloxacin liposome formulation. She is continuing on for a PhD to develop and assess light-activated irinotecan liposome formulations. 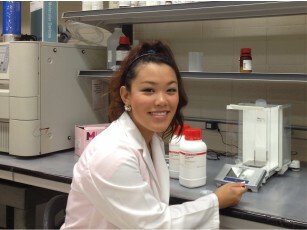 Hailey is obtained her undergraduate degree from UB BME and is continuing onto MS research in the lab. She is working on liposome formulations for contrast imaging and light-triggered cargo release. Breandad is a UB graduate with a degree in biology. He subsequently completed an MS degree at University of Rochester. He is a research technician/scientist in the lab. See photos and connect on our facebook page. Please upload and share more photos if you have any! 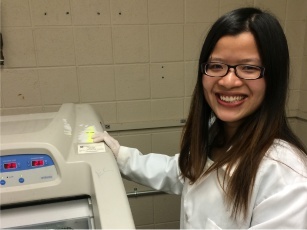 Yumiao was the first PhD graduate of the lab and has left some big footsteps for everyone to follow! He is a full professor of Chemical Engineering at Tianjin University. 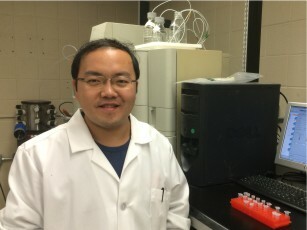 Yang Zhou spent a year in our group as a visiting scholar and is a lecturer in the college of chemistry at Shandong Normal University in Jinan China. 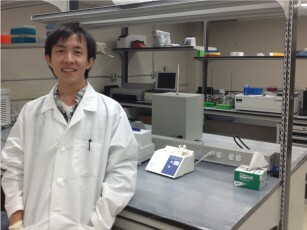 Haoyuan completed his PhD in 2016 and is pursuing a career in industry. 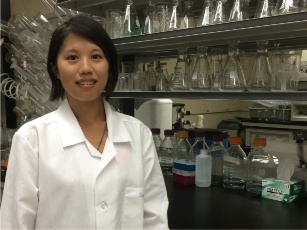 Dandan completed her PhD in 2018 with 9 first author publications and is working on PK/PD modeling in industry at CSL Behring. 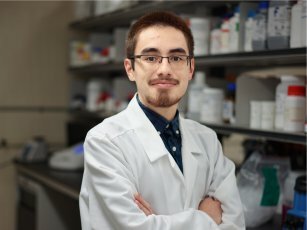 With a full CAPES scholarship, Dyego completed his PhD in 2018 and returned to his native Brazil..
Wentao completed his MSc in our lab and is pursuing further research. 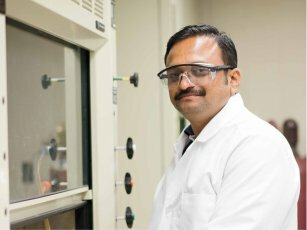 Raj is an assistant professor of Chemistry at the Central University of Tamil Nadu in India. He was a Raman fellowship and is a visiting scholar in the group. Mary-Chris performed undergraduate research in the lab and went on to complete an MSc degree at Rochester Institute of Technology and then got a position at Sydor Instruments. Lou graduated with his MSc in the Chemical and Biological Engineering in 2014 and moved onto PhD studies at University of Tennessee. Kun Lou is from Shanghai, China. He received his Bachelor degree in material science and engineering from Tongji University in 2011. 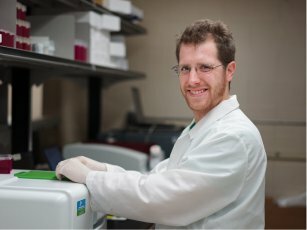 James graduated with his MSc from Biomedical Engineering in 2015. James is from Ithaca, NY and is currently working as a product development manager in industry in New York City. 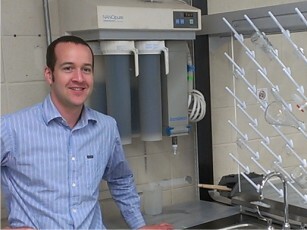 Dan graudated with his MSc degree in 2015 and found employment in medical devices industry. Sophie completed her undergraduate studies at Cornell her MSc in the Biomedical Engineering Department. 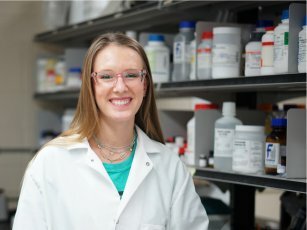 She has moved on to pursue a PhD at University of Maryland in Biomedical Engineering. 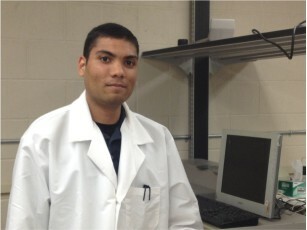 Rick graduated with a double degree in both Biomedical Engineering and Chemistry and is pursuing graduate studies at UB. Jumin Geng was a Research and Animal Technician in our group for several years. She recently relocated to Philadelphia and is greatly missed!